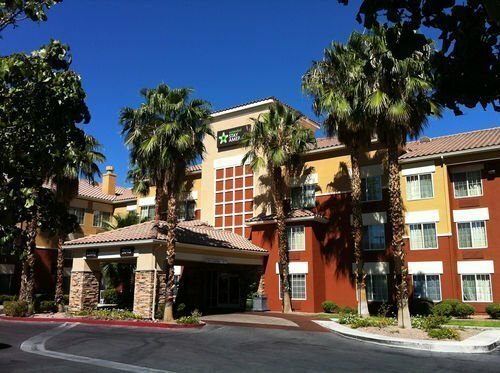 Extended Stay America – Las Vegas – Midtown, 3045 S Maryland Parkway, the ideal place for people visiting Vegas on business, or those who need longer-term accommodation. 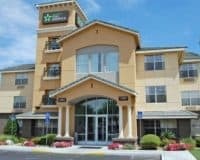 The Extended Stay America – Las Vegas – Midtown, Winchester, offers long-stay hotel rooms, which can also be used over shorter periods of time. This makes the hotel ideal for people who are planning an extended stay in Vegas and don’t want to have to accrue all the associated costs of eating out every day. 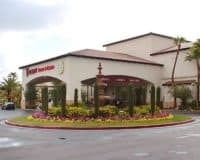 It is situated, just a ten-minute drive from the legendary Las Vegas Strip, meaning that people staying there can enjoy all the benefits that Vegas has to offer. 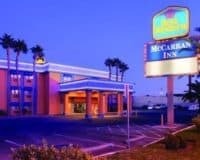 The hotel offers a good range of amenities, including a free grab and go breakfast service, twenty-four-hour WIFI, a complimentary laundry service, pet-friendly rooms and a once a week housekeeping service. This means that you can be confident of a comfortable stay, no matter how long you are planning to use the hotel. This makes the Extended Stay America – Las Vegas – Midtown, the ideal place for people visiting Vegas on business, or those who need longer-term accommodation. Providing the ideal cross between a hotel and home, with the perks of the former, while still feeling like the latter.